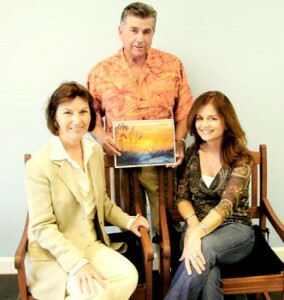 Holmes Beach/Lakeland resident Robert Harper is donating proceeds from his calendar “Sunrises and Sunsets featuring Anna Maria Island” to the Island Community Center. You can pick up a copy of the calendar at the Community Center or at Bark & Company Realty. Donation is $12. Community Center Executive Director Pierrette Kelly meets with calendar artist Robert Harper and his wife, Amy. 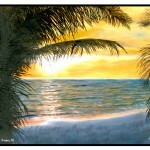 ANNA MARIA – Robert Harper captures the beauty of Florida sunrise and sunsets and is using this beauty to benefit the Island Community Center. Harper and his wife, Amy, called the Center’s Executive Director Pierrette Kelly and the three met and made Harper’s gift a reality. All proceeds from the sale of the calendar will be donated to the Center. Harper, who is from Lakeland, has a long history with the Island. From the age of eight, his family made it their annual vacation spot.